Ok, folks. I hate to break it to you but Valentine’s Day is right around the corner. I know, I know. Where has this year gone? Although…now that I think of it, I say that every month of every single year. Aside from being our favorite hotel in town, the Hilton Anatole offers one of the top spas in the area as well. 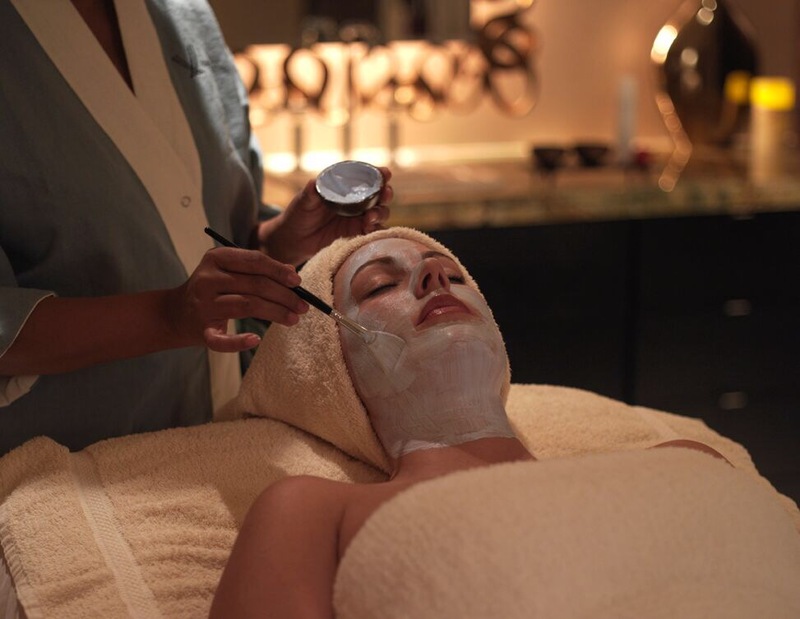 The V Spa offers the traditional spa services that you’d expect, from massages to manis, facials to full body scrubs. They even have an entire spa menu dedicated to dudes! Don’t be shy guys, we all know you like to feel fresh and beautiful handsome, too! A few weeks back my honey and I stopped in for a life-changing hot stone couples massage that was even capped off with a champagne toast and let me just tell you all, we decided on a date for our next appointment right then and there it was so amazing. Right now, the V Spa has some incredible specials for the month of February so be sure to check them out here! So, be sure show up with a gift certificate on Valentine’s Day and be sure to score major points! 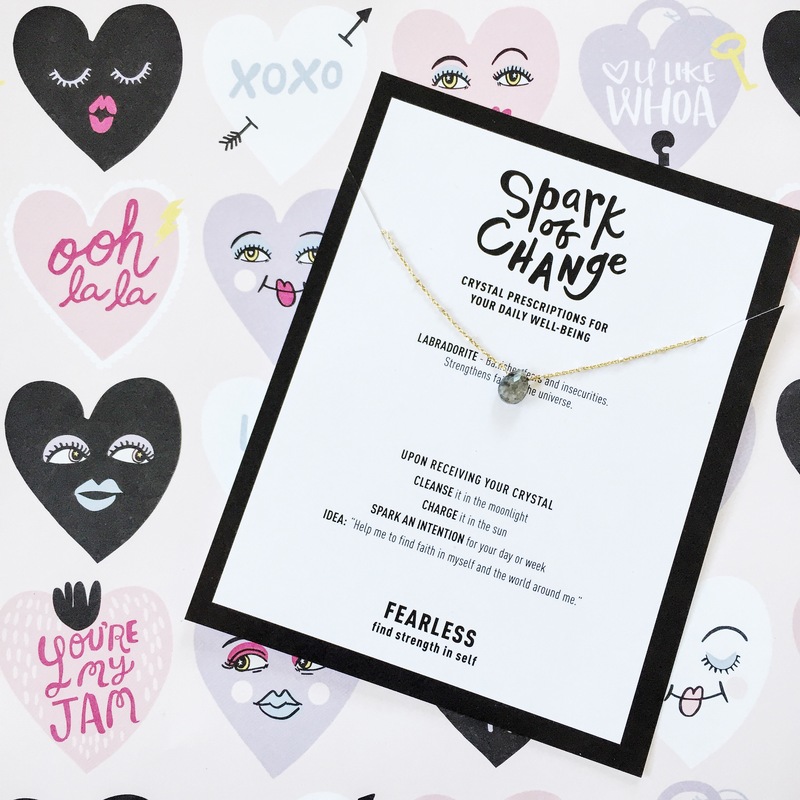 Spark of Change is an incredible, local jewelry company that specializes in “crystal prescriptions.” The perfect gift for the man, woman or child in your life, each piece of jewelry is made with crystals that are known to provide positive energy. You can shop by individual collection or, my personal favorite, which VIBE you are in need of having a little extra of in your life. I have been wearing Spark of Change jewelry for a few years now and I get compliments EVERY. SINGLE. TIME. I wear one of the pieces – they are so unique and who doesn’t love supporting a local business, right? Just in time for the holiday, Spark of Change is running an exclusive promotion and you can get 20% off of everything from February 8th to February 10th with promo code “LOVE YOURSELF” at checkout. Be sure to check out the online store here and get your orders in early to assure they arrive in time for the big day! If you follow me on social media, you probably know by now that I am absolutely obsessed with another local Dallas company called On The Rocks. 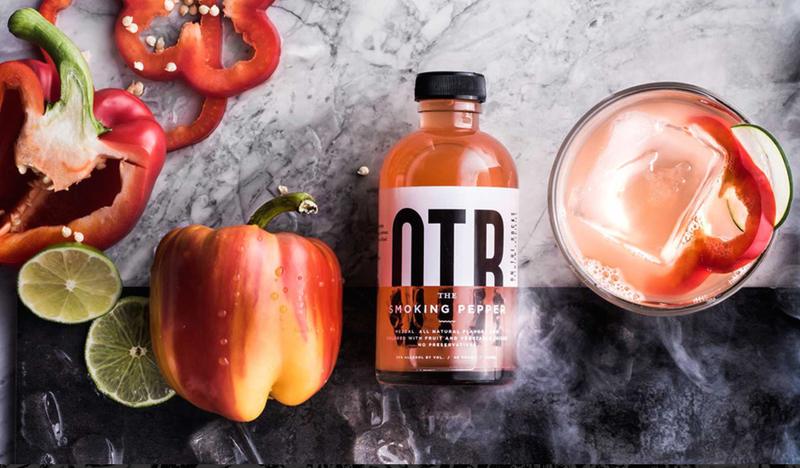 On The Rocks provides luxurious craft bottled cocktails that you literally just need to pour over ice. Each bottle is stunningly beautiful in design and the cocktails are better than most you’d find in top restaurants around town. The team at On The Rocks scours the world looking for the finest ingredients to include in their ever-changing repertoire of cocktail offerings and it shows. Somehow, On The Rocks provides consumers with a platinum experience at an affordable price and I am all about that! Available at area Sigel’s, Specs, Total Wine, Goody Goody and many independent neighborhood liquor stores, cracking open a four bottles of On The Rocks is sure to lead to a memorable Valentine’s Day! Find out where you can get your hands on some here. I truly believe that there isn’t a single person on this planet who doesn’t wish that someone would send them a cookie bouquet. 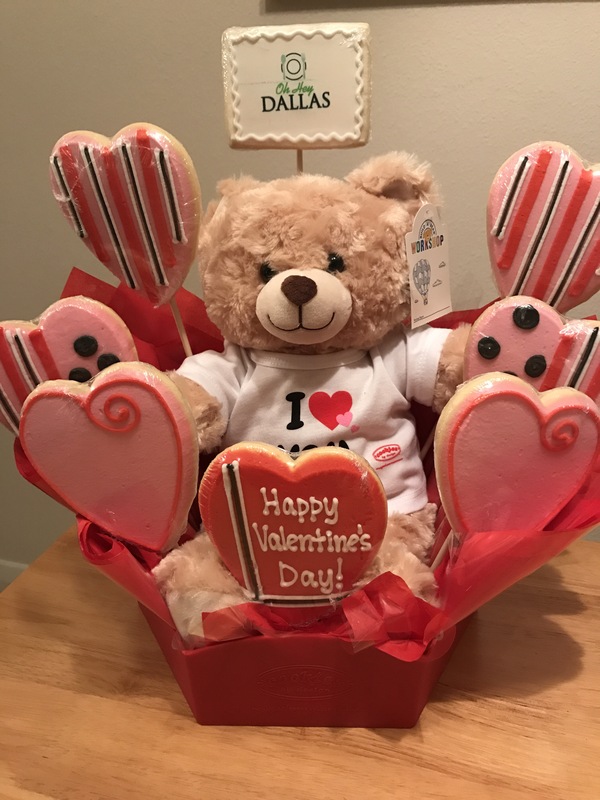 Just in time for Valentine’s Day, Cookies by Design has launched cookie gift baskets featuring Build-A-Bear Workshop teddy bears. Each basket is made to order and can even be personalized with images printed right on the cookies. How cool would it be to send a basket to your love with edible pictures of you two on every cookie? I know I want one! The best part? These baskets can be hand-delivered the same day or within a day if you are doing a custom order. Procrastinators rejoice! These new Cookies by Design baskets are available at all store locations or by visiting their website here. 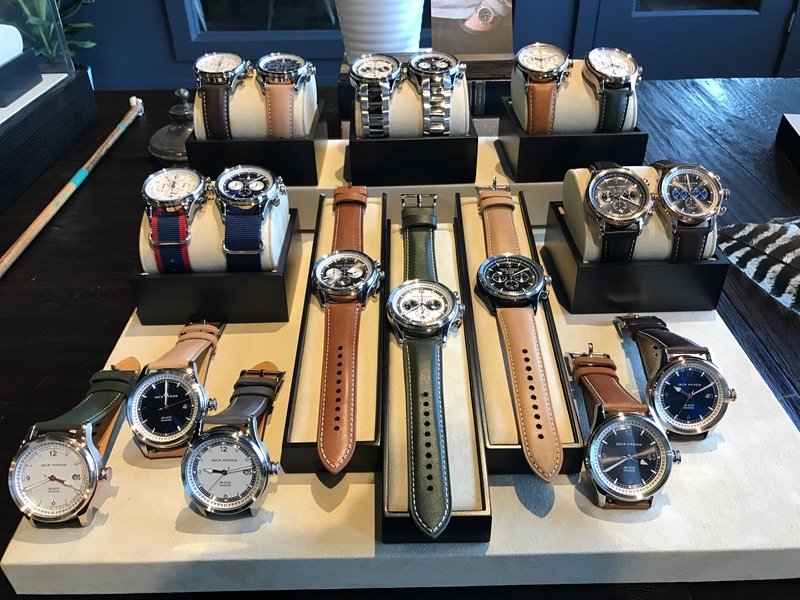 Jack Mason is a local Dallas brand that serves up some of the hottest watches and leather goods around. With the recent addition of their women’s line, Jack Mason is a great one stop shop for gifts that ar sure to please. Jack Mason has very affordable pieces and they’re each unique in their own way. In Dallas, Jack Mason is available at DLM Supply, St. Bernard’s, Ken’s Man’s Shop, Local Moro Provisions, and Nuvo.